A new year opens everyone's minds up to new possibilities, much like a wedding opens a couple up to a brand new, exciting life together. January 1 is always a great time to begin a fresh start. You can take the same approach to planning a wedding. No matter where you are in the process, stop, take a breath, and make sure you are doing things in a productive way. WhereBridesGo.com knows that if you apply the following resolutions to your wedding planning process, things will go a little smoother and you will enjoy the experience a lot more. Sit down with your piles of lists, ideas, photos, etc... and find a place for everything. You will save hours of wasted time by simply keeping all of these things in a place designated for them. A binder works well for this, with different folders for each task. Don't forget to include a calendar too. After everything is where you want it, decide which things are the most important and plan to do them first. Set goals on your calendar, along with rewards for when you accomplish them. Sooner is always better than later. Don't procrastinate! Once you prioritize your tasks, actually do them. If you have some free time, tackle the next thing on the list. Getting it done on time feels great, but getting ahead of yourself feels amazing! Write thank you notes when gifts arrive instead of waiting until after the wedding when there are so many more. If you are planning any DIY projects, keep them by the couch and tackle a few every time you watch TV. The more you get done now, the less you'll have to worry about later. You can't have a wedding without a partner. This is a celebration of the love between the two of you, so don't make all of the decisions on your own. You will be partners in the marriage, and you should be in the wedding planning too. If you both have a say in what happens, you will both enjoy the event more. 4. Plan a "wedding-free" activity together weekly. Go big and plan an entire date night out, or simply put in a movie and chill on the couch together for a couple of hours. The key here is to do something together that has absolutely nothing to do with weddings. A little break every now and then will keep you refreshed. If you constantly worry about flowers, music, dresses, tuxes, and more you may come to resent the whole thing. The two of you can do a lot as a couple, but you don't have to do everything. Weddings involve a lot of work. If friends and family offer to help, let them. Hire a coordinator to cover all of those surprise tasks that you didn't realize had to be done. There is no shame in asking for help, and you'll be a lot less stressed when you receive it. 6. Trust your wedding vendors. Wedding vendors do multiple weddings every year. You hired these people for a reason - you liked their work, a recommendation, a great interview - so trust that you chose wisely. Usually any suggestion that a vendor makes is a good one. Always go with your gut, but don't count out their advice before at least considering it. 7. Stick to your budget. The closer a wedding gets, the easier it is to pick up one more of these, or a couple more of those. Before you know it, the budget you planned for is blown! 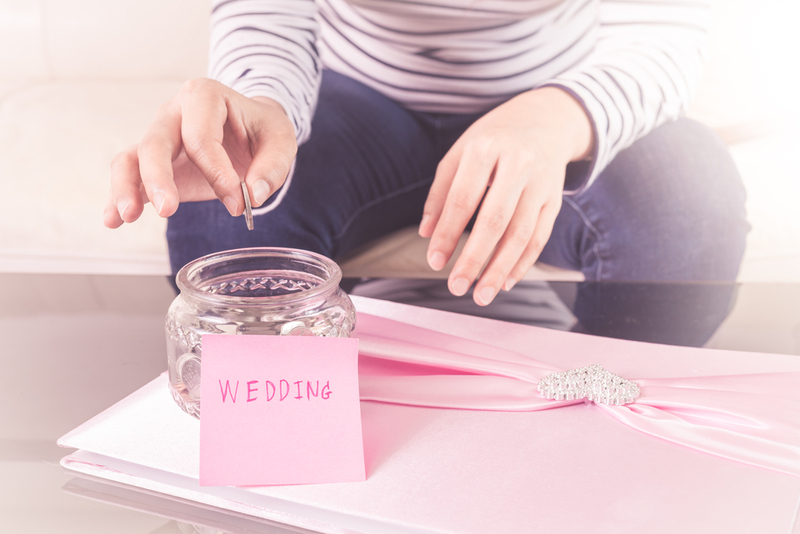 Resolve to pay close attention to where you are spending your wedding budget. 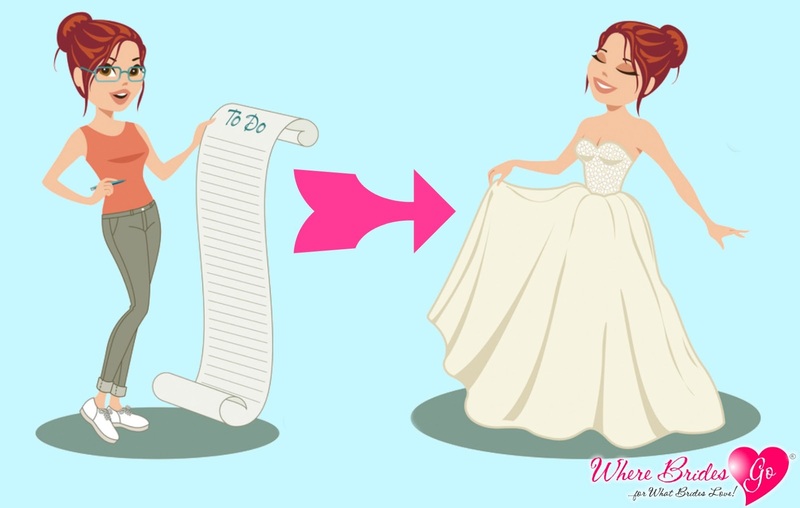 Start out by deciding on the three most important things about your wedding. Spend the bulk of your money on these. If it's not that important to you, it's not worth wasting a lot of money on. Going overbudget now will only cause stress later on. 8. Don't take guilt trips. Sure, you want your guests to be happy and comfortable at your wedding, but it's not about them. If you prefer an adult-only reception, don't feel bad about that. It's your party. You love fried chicken and want to serve it at your reception, but his entire side of the family is vegetarian. Don't ditch your favorite food, simply make sure they have something to eat too. No one should make you feel bad about anything that you choose to do at your own wedding. If you like it, go for it, and don't feel bad. One of the very best things that you can vow to do is to be flexible. It is highly unlikely that everything will go 100% perfectly as planned. Train yourself to go with the flow. If your napkins came in champagne instead of ivory, your guests probably won't even notice and the food won't taste any different. Maybe your favorite flower is not in season during your wedding. That's fine, there is still a wide variety of gorgeous blooms to choose from. Don't let things get to you. 10. Never forget to have fun! This is a happy occasion. A celebration is supposed to be fun. Any time that you find yourself getting fed up or stressed out, step back and breathe. You already resolved to stop sweating the small stuff. You owe it to yourself and your partner to enjoy everything about this wondrous occasion. If you aren't having a good time, even with the planning, then find a way to make it fun for yourself. Planning a wedding takes a lot of work, but it doesn't have to be a miserable chore. Focus on the things that make you, as a couple, happy. Don't overdo it, and always remember that you should be enjoying this experience. Implementing a few of these resolutions is sure to take away some of the worries and help you remember what it's all about.